Number of the week: How much has Crimea cost Russia? $2.2 billion (according to the exchange rate on March 18) is how much Russia has spent on Crimea since the peninsula was absorbed by Russia last year. $1.4 billion of the total was spent on payments to public sector employees and pensions. $600 billion went to the maintenance of public utilities, including electricity, water supply, transportation, infrastructure and education. The expenditures on defense, including those related to various Russian military bases on the peninsula, have not been made public. 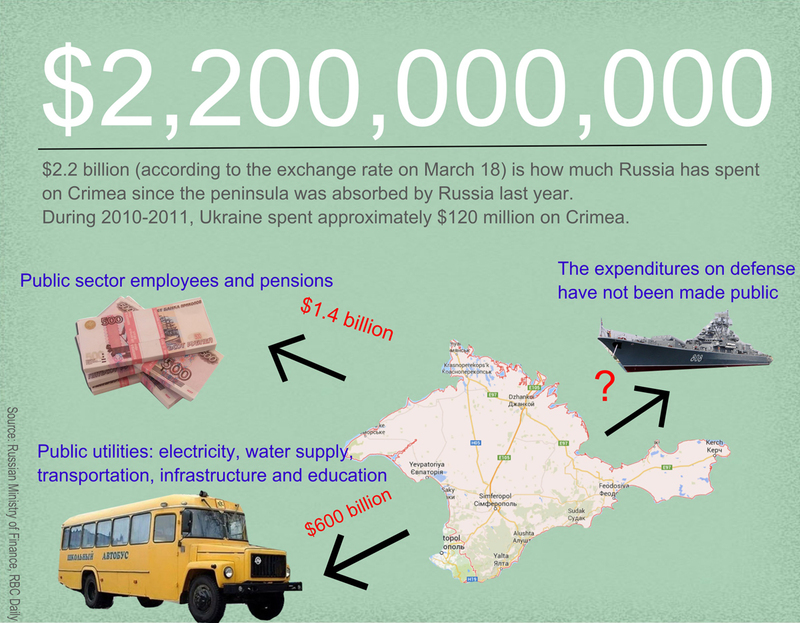 During 2010-2011, Ukraine spent approximately $120 million on Crimea.